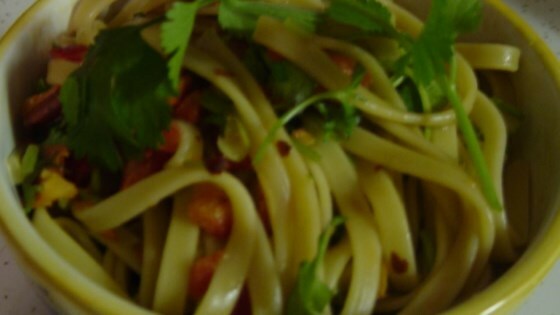 "A delicious, cold pasta served with a spicy peanut sauce." What really makes this salad is a wedge of lime. Squeeze it over each portion just before eating and it gives it that little zip that many other reviewers thought was missing.